On this DVD is a explanation how to do Amazing Heart with great idea. You can do heart or other designs you like. Nnew look for balloon design. 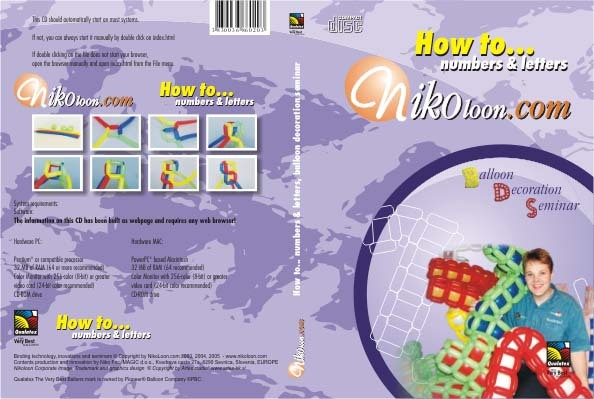 On this Cd is a explanation how to do all numbers and letters with great idea - combination 260Q and 5" balloons. You can do your creation more quickly. Very easy to do for all. 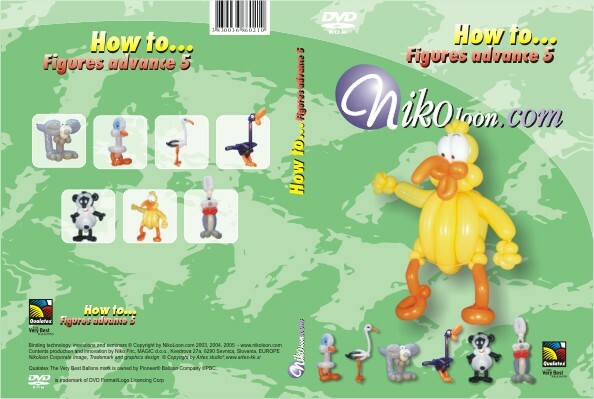 This figures are the most popular for Niko. Very easy to do for all. 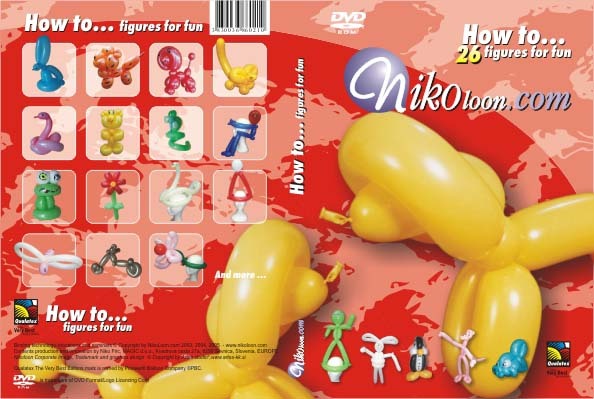 On this DVD is a explanation how to make beautiful figures with 160Q balloons. This figures are the most popular for children and other who want to be free, and have beautiful balloon. 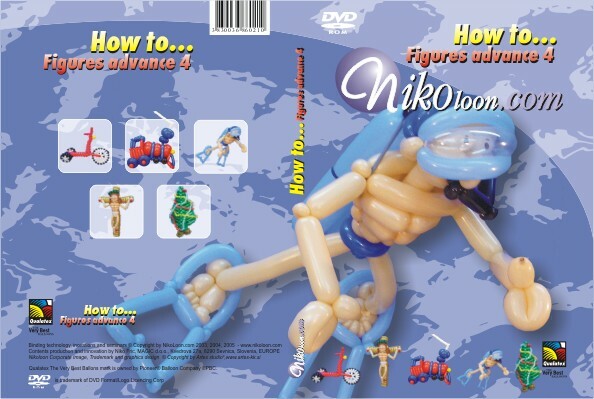 On this DVD is a explanation how to made sausage weaving with 260Q balloons. 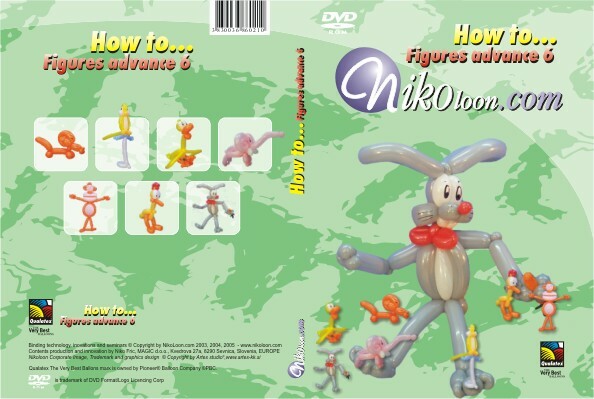 On this DVD is a explanation how to make advanced figures with Sausage technic.